You can add, remove, and edit your video files. Also you can choose DVD Type, target DVD recorder, edit DVD Disc label, and select a Work Space for Solid AVI/DIVX to DVD Burner. You can adjust the DVD aspect ratio and add your own subtitles. Video Settings: select target format: PAL or NTSC. PAL is used in most of Europe and Asia, most of the rest uses NTSC. Most DVD player supports both PAL and NTSC. 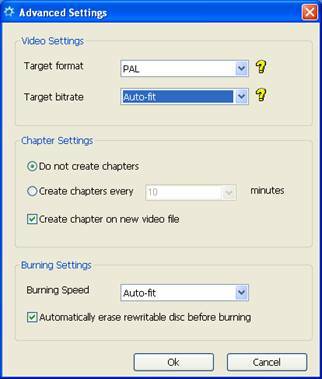 Chapter Settings: adjust the DVD chapters’ creation. Burning Settings: choose the burning speed of your recorder. “Auto-fit” is strongly recommended. Display the progress of burning DVD disc. You can let the burning process run in background, and then you can do your favorite thing while burning. Enjoy a cup of coffee and waiting for your DVD ready. You can also let Solid AVI/DIVX to DVD Burner turn off your computer after job done. 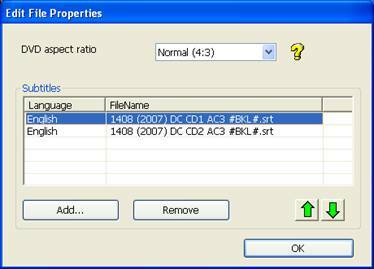 Best AVI to DVD Software |Copyright© 2004-2008 TopviewSoft Inc. All rights reserved. Topviewsoft Inc. was founded in 2004. We focus on digital video and DVD software development and provide professional customer service.